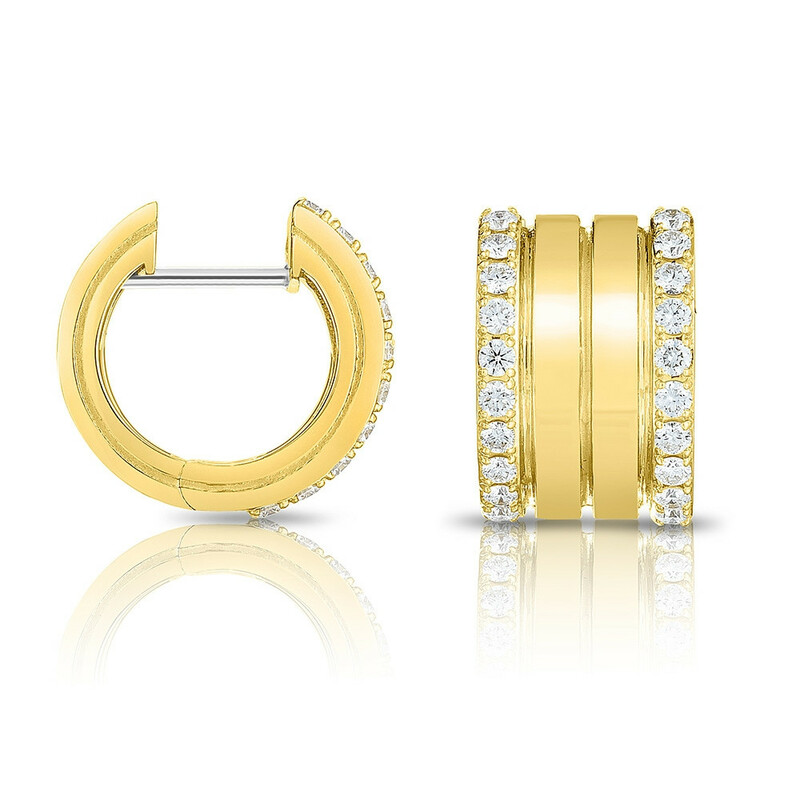 These haute gold and diamond huggie hoop earrings are part of Roberto Coin's Portofino collection. 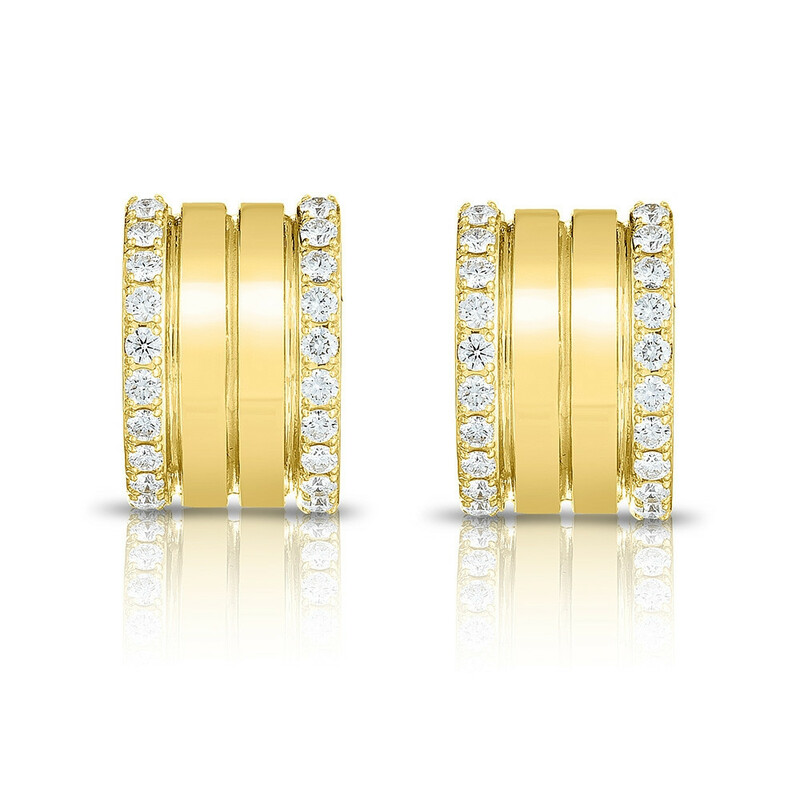 Crafted in 18K yellow gold, vertical rows of diamonds at their outer edges bookend two high-polish rows of precious metal. The satin-finish recesses between these elements give the pretty pair a striped effect. These Roberto Coin hoop earrings are elegant and eye-catching!